WASHINGTON (AP) — Ports are closing. Farmers are moving hogs to high ground. Dealers are parking cars in service bays for refuge. And up to 3 million energy customers in North and South Carolina could lose power for weeks. 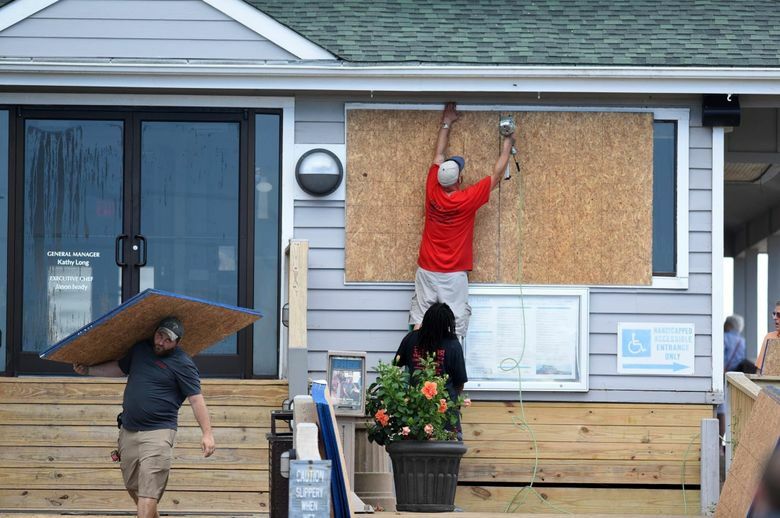 Across the Carolinas, Virginia and Georgia, businesses are bracing for the economic damage Hurricane Florence is expected to inflict on the area. Industries like tourism and agriculture will likely suffer, and the losses won’t be easily or quickly overcome. Once it makes landfall, Florence is expected to lash coastal communities with high winds and dump several feet of water. Flooding could prove devastating. The storm will likely damage homes and businesses, kill crops, drown livestock, wash away cars and suspend much of the area’s economic activity. “These storms can be very disruptive to regional economies, and it takes time for them to recover,” said Ryan Sweet, an economist at Moody’s Analytics. Sweet said he thinks Hurricane Florence could cause the U.S. economy’s growth to slow a few tenths of a percentage point, on an annual basis, in the July-September quarter. Michael Walden, an economist at North Carolina State University, calculates that Florence will deduct about $200 million of output a day from North Carolina’s $550 billion-a-year economy until business returns to something close to normal. It could have been worse. Labor Day marked the end of the peak tourism season in the Outer Banks of North Carolina and other coastal getaways. There are now fewer tourists to send away. 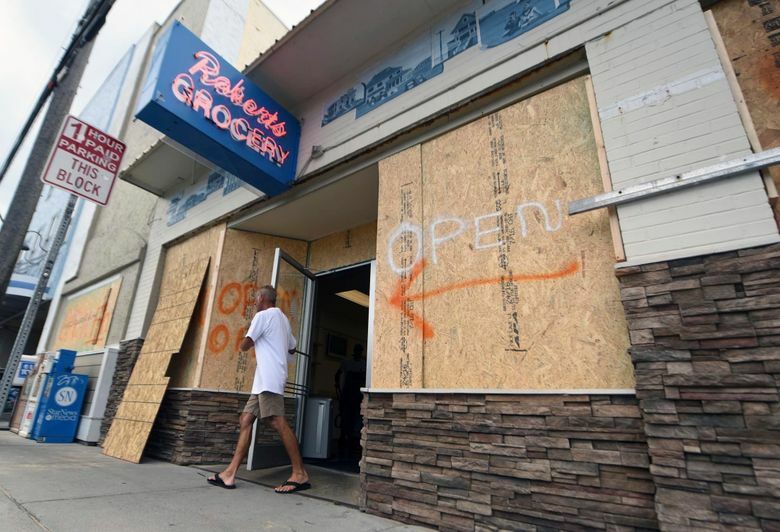 In fact, as with the aftermath of previous hurricanes, the region could eventually receive an economic boost once construction crews come out to rebuild and repair damage and as insurance payments and federal disaster aid flow in. “The ironic thing is, when there’s a rebuilding effort, that can energize local economies,” Walden said. “Typically, we see a stimulus effect that creates jobs and raises incomes for South Carolinians,” said Joseph Von Nessen, a research economist at the University of South Carolina. Hiring is likely to be especially strong in construction and at retailers that sell building materials and supplies. Hurricane Florence is slamming a region that is economically diverse as well as sizable. Combined, North and South Carolina boast an economy bigger than Saudi Arabia’s. High-tech auto plants co-exist with beachfront bed-and-breakfast inns and peanut farms. North Carolina’s Duplin and Sampson counties, just inland, sell more hogs and pigs than anywhere else in America. Duke Energy warned that Florence could cut off power to anywhere from 1 million to 3 million customers in North and South Carolina, potentially leaving them without electricity for several weeks, said spokeswoman Grace Rountree. Two big fuel pipelines stand in the hurricane’s path, but analysts say they think the storm is unlikely to disrupt the flow of gasoline or other products. Still, analysts for S&P Global Platts say it’s possible the Colonial and Plantation pipelines could be affected by power outages or damage to pump stations. Those pipelines carry fuel from the Gulf Coast to much of the eastern United States. Analysts expect a temporary boost in gasoline demand as people flee Florence, followed by weaker demand during and immediately after the storm. But the damage to energy facilities is likely to be far milder than the devastation left by Hurricane Harvey, which last year battered Houston, the heart of the U.S. energy industry. Flooding closed refineries along the Texas and Louisiana coasts and caused gasoline prices to spike. The Port of Virginia in Hampton Roads was closed Wednesday but planned to reopen Thursday on news that Florence had veered south. The port in Charleston, South Carolina, though, was suspending operations from Thursday through Saturday and possibly on Sunday. And Florence will almost surely depress auto production in South Carolina, where Volvo already has closed a new factory near Charleston because it’s in an area under mandatory evacuation orders, said spokesman Russell Datz. Volvo is coordinating with parts suppliers so it will be ready to resume production, according to Datz, who said he wasn’t sure how long the plant would be down. Three hours to the northwest in Spartanburg, BMW’s sprawling SUV factory remains open. But rail cars with vehicles bound for Charleston and export markets abroad have been moved to secure areas until the storm passes. Spokesman Kenn Sparks said BMW is monitoring parts supply plants, which could be affected by the storm. At auto dealerships in 48 counties of Virginia and North and South Carolina, Florence could destroy about 125,000 vehicles, Citi Investment Research analyst Itay Michaeli estimated in a note to investors. It also could cut September auto sales by about 110,000 vehicles, which would have to be made up later, he wrote. Analysts at Cox Automotive predicted that Florence won’t destroy as many cars as Hurricane Harvey did in the car-dependent Houston area. Though about 9 million vehicles are in Florence’s path, the area has only about 162 vehicles per square mile — less than half the figure in car-crazy Houston. Many car dealerships on the coast were already closed Wednesday ahead of the storm. But even inland dealerships are bracing for damage. Workers at Florence Toyota in Florence, South Carolina, plan to pull high-value luxury vehicles into the service bays on Thursday to protect them. “We’ll probably move some of our bigger trucks in front of the building to try to stop some of the debris,” said Terrell Small, the new-car sales manager. The city of Florence, about 70 miles northwest of Myrtle Beach, could absorb 70-to-110 mph winds and 3 to 6 inches of rain, according to the National Weather Service. The area is under tropical storm and flash flood watches into the weekend. 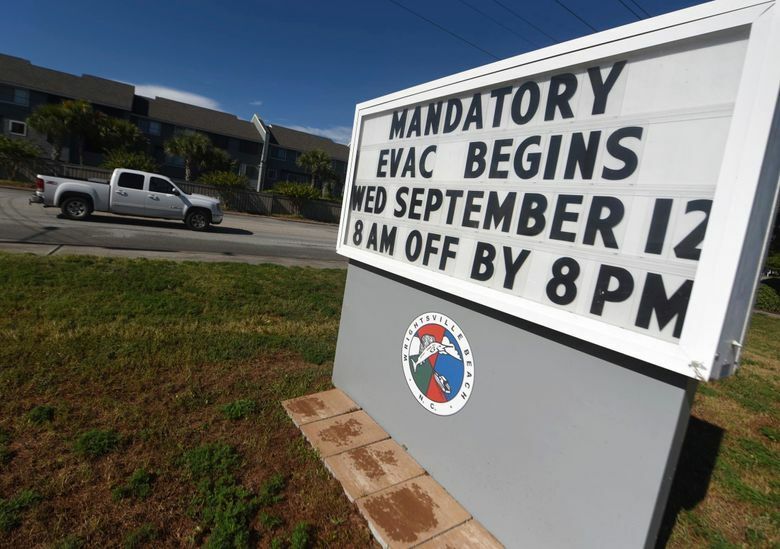 Small said the precautions have worked in previous hurricanes, but he said he remained wary of the flooding potential from the storm with the same name as his town. Krisher reported from Detroit. AP Business Writer David Koenig in Dallas also contributed to this report.